We’d love your help. 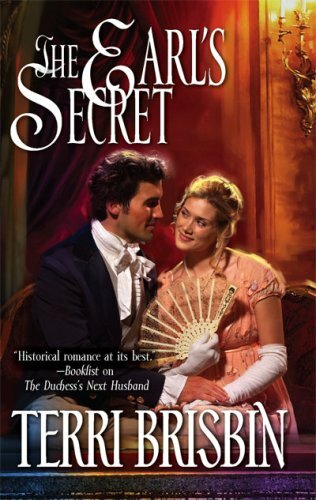 Let us know what’s wrong with this preview of The Earl's Secret by Terri Brisbin. A war of words over the issues of the day in Regency Edinburgh forces David Lansdale, the Earl of Treybourne to hide his identity and seek out his anonymous opponent. But the enchanting woman he meets harbors her own secrets. Anna Fairchild has too many depending on her to let an attractive man turn her head and her heart. This stranger from London ignites all sorts of yearnings in the woman who swore off men and marriage years ago. David undermines her defenses and steals her heart and she fears that no words can ever make things go back to the way they were. When all the secrets are revealed, who will win this battle for love? To ask other readers questions about The Earl's Secret, please sign up. This review has been hidden because it contains spoilers. To view it, click here. There is a feud going on in the newspapers regarding political beliefs. Representing the Tories is David Lansdale, Earl of Treymount, who truly sides with the more liberal and progressive Whigs, but is the mouthpiece for the conservative Tories in order to continue receiving funds from his father. He uses that money to support numerous charities (and his father would be appalled to find out!). Representing the whigs is A.J. Goodfellow, a pseudonym for Anna Fairchild working as a teacher for unfo There is a feud going on in the newspapers regarding political beliefs. Representing the Tories is David Lansdale, Earl of Treymount, who truly sides with the more liberal and progressive Whigs, but is the mouthpiece for the conservative Tories in order to continue receiving funds from his father. He uses that money to support numerous charities (and his father would be appalled to find out!). Representing the whigs is A.J. Goodfellow, a pseudonym for Anna Fairchild working as a teacher for unfortunates, writing for her newspaper and raising her younger sister. The tensions mounts when David shows up in Edinburgh to learn the identity of his adversary. Under a pseudonym of his own, he gets close to Anna Fairchild. But a romance between them has no possible future - she's a disgraced reformer and he's nobility. Not to mention overcoming the dishonesty and lies on both sides. Evidently this is a part of the MacLerie world and there is a Lord and Lady MacLerie in this story, but I have no idea how they fit into the original "Highlander" series nor how these people relate to Connor and friends. I also read the novella that comes after this, about Julia, Anna's sister and it makes so much more sense now that I've read this. de uma forma subtil, a historia contem elementos que nos fazem "ver" a sociedade real da epoca. a realidade não é bem, ou melhor, não é so uma historia romantica de um casal que se conhece e se apaixona. nuances reais, num contexto realista. foi de facto uma surpresa esta historia e que recomendo a quem gosta do genero. What? Where did this one come from? How does it fit into The MacLerie Clan series? This one came out of left field and I couldn’t figure out why it was included in the series. It was a good book and I really enjoyed it once I got over the shock of how different it was from the previous three books but I still don’t know if it should have been included in the series. Everything was different about it, the tone, the setting and even the century it was set in. At first, I thought I had downloaded the wrong book. I did this several times, checking the title, series and author just to make sure that I was reading the 4th book of The MacLerie Clan series. I actually did this several times. It just felt so different from the rest of the series. Instead of the rough Highlander feel, it had a snobbish English feel to it. It was set in Edinburg and London in the 1800s instead of the Highlands in the 1300s like the previous books. A MacLerie wasn’t even mentioned until I was about a quarter of the way through it and then it was just a friend’s husband who was the MacLerie. Despite the strangeness of this book being part of the series, I enjoyed it. I just had to get used to it. Anna Fairchild is what people called a ‘bluestocking’, an intellectual or literary woman. That and the fact that she advocates for social reform puts her on the edge of acceptable behavior for a lady in society. If people learned that she was the owner of the Scottish Monthly Gazette instead of her friend, Nathaniel who pretends to be its owner, she would be ruined. It just was not acceptable for a woman to own or run a business. Acceptable behavior is for women to organize parties and balls and to look for a suitable marriage. Anna has no intention on marrying. She likes to be her own woman and a husband would take that freedom away from her. Her magazine has been doing well and is picking up subscriptions and advertisers due to a certain essay against the Torie party written by A.J. Goodfellow who advocates for social reform. It’s a sort of debate written and published in two separate magazines or newspapers. The Torie party’s essay being written by David Lansdale, the Earl of Treybourne in a London magazine while the reformer’s essays and replies are written anonymously with the writer going by the name of A.J. Goodfellow. Anna is really A.J. Goodfellow and the only person who knows this is her friend Nathaniel. David Lansdale is hard-pressed to find a solution to the escalation of the war on words going on between A.J. Goodfellow and himself when his father, the Marquees of Dursby who thinks A.J. Goodfellow is making him and the party look bad, threatens to cut off his salary unless he does something about it. He depends on the money from his father for personal reasons and has only agreed to write the essays even though he does not really believe in what the Tories stands for and he only has to get through this year before he gets his inheritance from his grandfather when he turns thirty. He knows the owner of the Scotland Monthly Gazette, Nathaniel Hobbs-Smith, from his university years and decides to go to Edinburg under the assumed name David Archer to try to find out who A.J. Goodfellow is. Of course, Nathaniel knows his true identity but keeps it a secret from everyone else including Anna because he knows if David’s father becomes involved, he wouldn’t think twice to crush the magazine and the people who work for it. Anna and David get to know each other and start to fall in love but there are too many secrets between them and if and when they are discovered, neither of them will be able to forgive the other…so they believe. Plus, David is an earl so Anna would not be a suitable wife for him according to the rules of society. Anna said it best, “Oh what a tangled web we weave!” and I would have to agree. It was quite the mess and I got caught up in it, rooting for the couple who I truly believed would not make it. I know it is a romance novel but I thought maybe this one would end on a sad note. Since it was so different from the others in the series, I thought maybe this was some kind of lesson or something. I just didn’t know. Maybe this is the start of some sort of spin-off series. I could get into it that is what it is. I’m still baffled as to where this book fits into the series. I’ve looked at the next book and it is back in the 1300s so I’m at a loss. "David guardò la moglie, consapevole che gli aveva insegnato e offerto più di quanto potesse fare lui, ma giurò che ogni giorno, per tutto il resto della vita, avrebbe tentato di ricambiarla." Carino, anche se abbastanza classico come trama e personaggio, l'ho preso in scambio e lo rimetto in circolazione però perché ho scoperto che fa parte di una saga di cui non possiedo gli altri volumi. Who doesn't like a story where two essayists are at eachother's throats on paper, unknowingly falling in love while they're at it? Terri Brisbin's novels are always a highlight for me and this one is as well. Compared to some of her other novels the characters are less interesting, but the story and the writing are amazing. Especially the essay we get towards the end 'blood will tell'. Just love discovering a new author. Can't imagine my life without books. Well written and entertaining. Aivot narikkaan ja ruusunpunaiset silmälasit esiin- sarjaa. En minä varmaan muista tästä mitään huomenna, mutta ei tarvitsekaan. Sopivan viihdyttävä lukaisu näin kylmänä syyspäivänä. 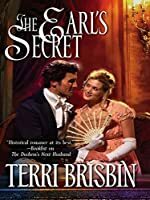 Terri Brisbin is a USA TODAY Bestselling author and three-time RWA RITA® finalist, and has had her historical and paranormal romances published in more than 20 languages and 25 countries around the world since 1998. She’s written more than 45 novels, novellas and short stories for Berkley/Jove, Harlequin, Kensington Books, NAL/Signet and SMP Swerve. Terri has also self-published her backlist books Terri Brisbin is a USA TODAY Bestselling author and three-time RWA RITA® finalist, and has had her historical and paranormal romances published in more than 20 languages and 25 countries around the world since 1998. She’s written more than 45 novels, novellas and short stories for Berkley/Jove, Harlequin, Kensington Books, NAL/Signet and SMP Swerve. Terri has also self-published her backlist books. When not living the glamorous life of a romance author in the southern NJ suburbs, Terri spends her time being a married mom and grandmom as well as a dental hygienist to hundreds while plotting and planning future stories. For more info (more than you could possibly want or need to know) visit her website – www.terribrisbin.com .